A well-timed story given yesterday’s Groundhog Day as “The Flash” star Grant Gustin says their upcoming time travel episode of the series will take some of its cues from the movie Groundhog Day. Executive producer Andrew Kreisberg chimed in as well with two more film comparisons for the episode. Barry’s misadventures with time travel will also lend itself to some key moments for the title character. 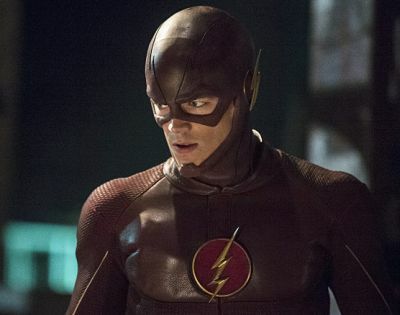 “The Flash” airs Tuesdays at 8 P.M. EST on The CW. Don’t miss Origins and Evolutions: The Flash, which takes a look back at the history of the character.